The Beijing – Kuala Lumpur flight will depart daily at 02:05, arriving at 08:30 local time. The Kuala Lumpur – Beijing flight will depart daily at 18:45, arriving in Beijing at 00:50 the next day. Exact fares vary by date and will be higher during peak times such as weekends and public holidays. AirAsia is a budget airline and additional fees apply for checked luggage, advance seat selection, on-board meals and beverages, or payment by credit card. Once a booking has been made, fees apply for any changes or refunds. 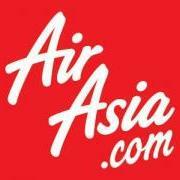 Visit www.airasia.com for more information or to make an online booking.